A Bristol, Virginia teenager, standing trial as an adult, charged with the first degree murder of a 20 year old Kingsport man is scheduled to make his initial court appearance Friday in Sullivan County Criminal Court. 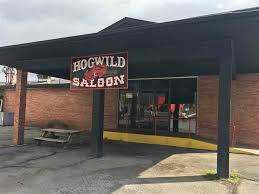 17 year old William Newkirk Jr, is charged with the March 2 shooting death of 20 year old Brett Rodgers II of Kingsport at the former Hog Wild Saloon. Newkirk, is being housed at the Sullivan County Jail where he has been separated from the general adult population.